Fig. 2. 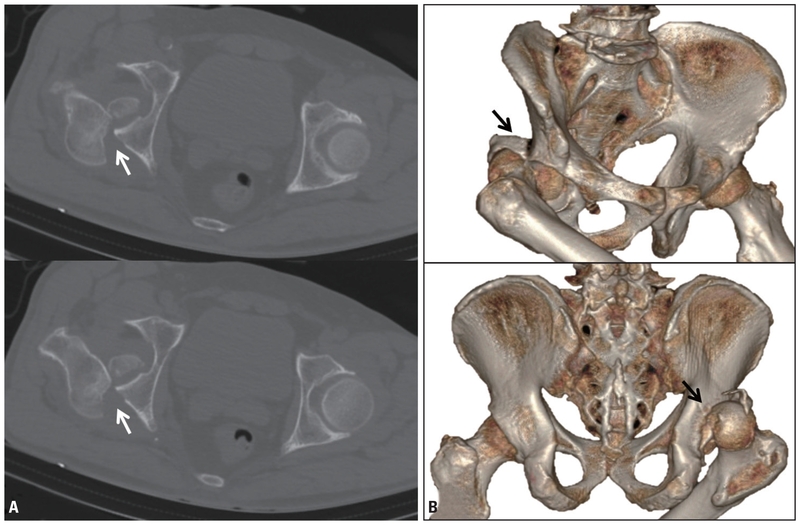 (A) CT scans of the pelvis showing fracture-dislocation of the right hip joint. Femoral head was seen to be locked at the posterior rim of the acetabulum (with arrows). (B) A 3D reconstruction image of the CT scan showing the locked femoral head with the fracture of the posterior wall of the acetabulum (black arrows indicates that locked femoral head). CT: computed tomography.